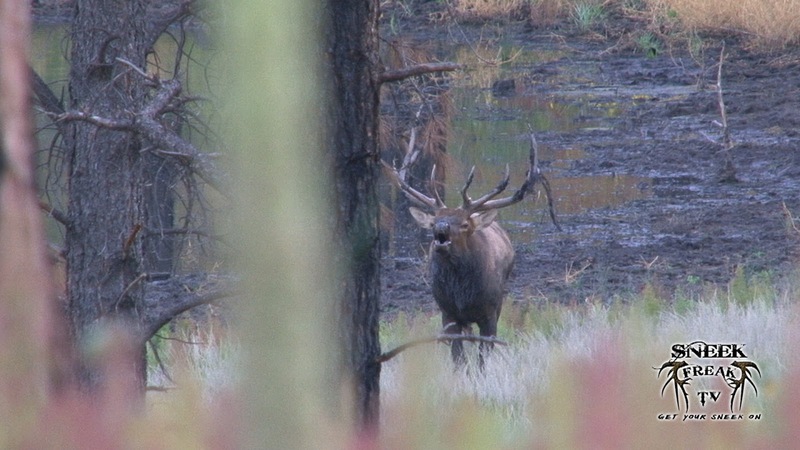 We finally got to where we could see this bull just before dark while scouting for the upcoming archery elk hunt. 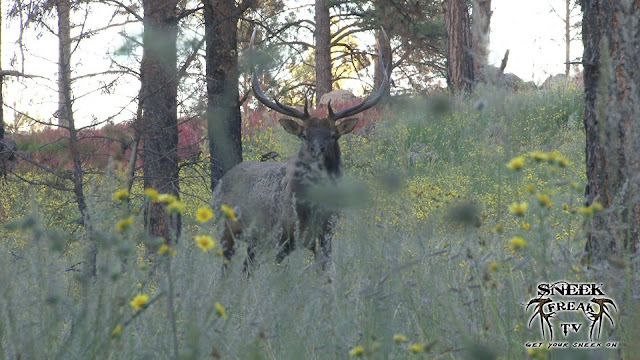 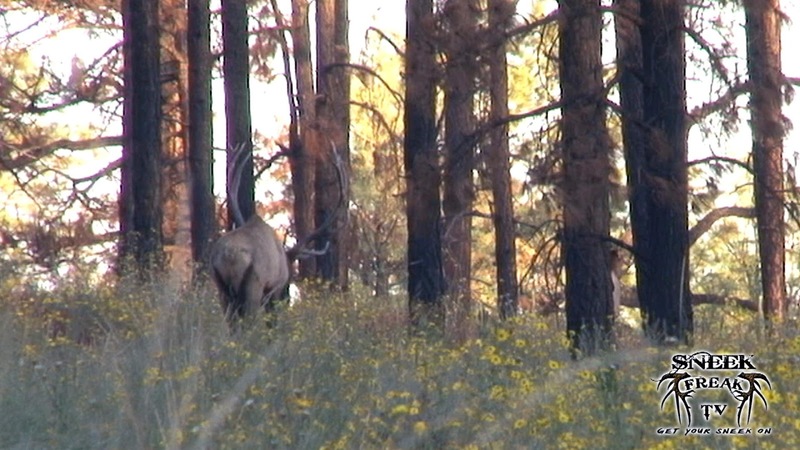 We were able to get a little footage of this great 6x7 during our second encounter with him during the archery hunt. 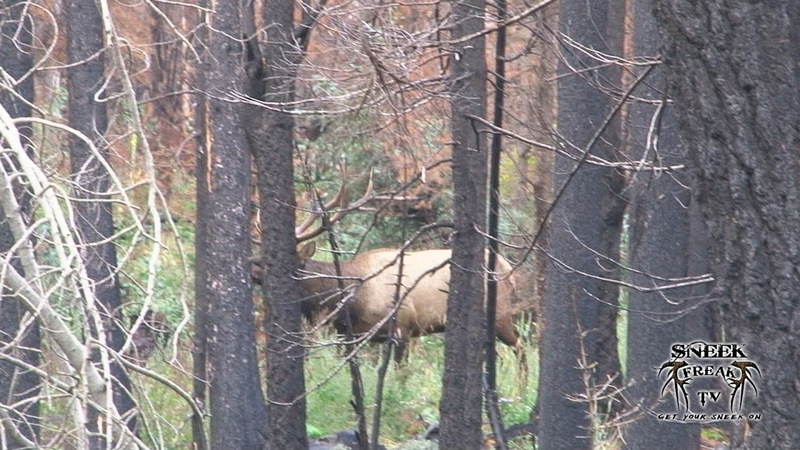 He was on the move to a nearby waterhole. 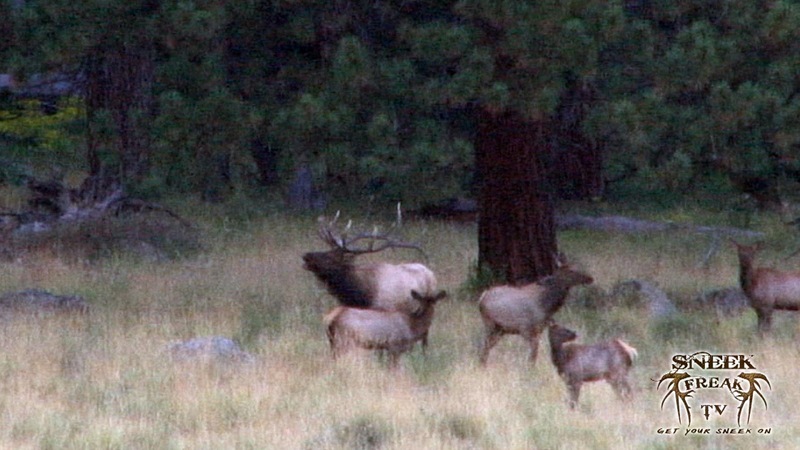 We pushed hard to get around in front of him to no avail. This fine looking bull walked in to 29 yards before catching our wind. Fortunately for him, Tom had decided to hold out for a bigger bull. 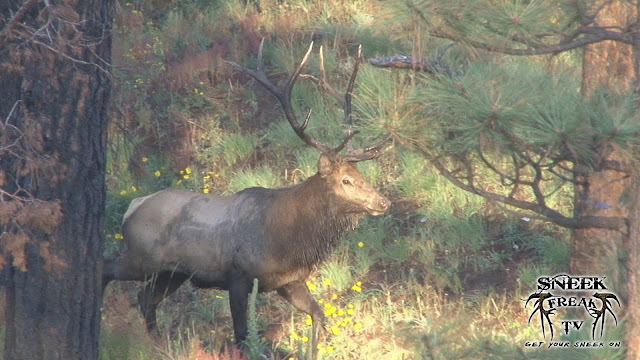 What a great looking young bull. Hope to see him in a couple years. At only 30 yards Tom found himself passing up a shot at this six point bull during opening morning of our archery elk hunt. This bull slowly worked his way down to us on Chads last day to hunt. 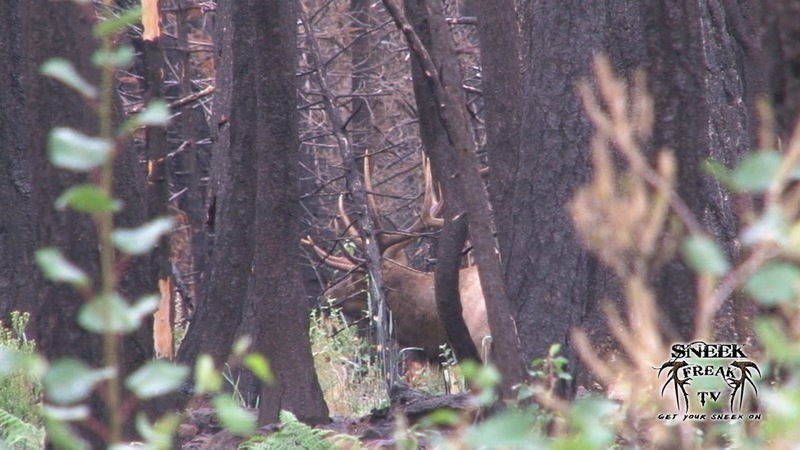 As we were preparing to shoot I relized both his left brow tines were busted at the beam. 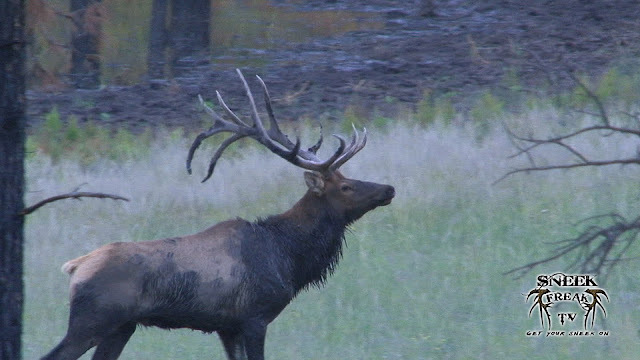 Upon seeing this and with the rut in full swing, we elected to pass on this bull and continue searching for a trophy bull for Chad to put his tag on. 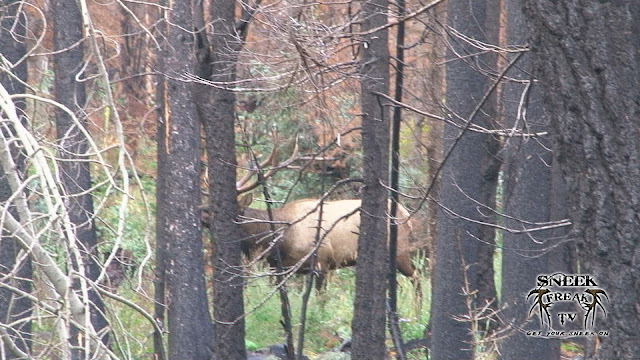 After sneaking in close while this bull was raking a tree, we set up and gave a few cow calls. He finally came out of the juniper jungle he was in and revealed himself. Although not what we were looking for, he still got the blood pumping being only 10 yards away! 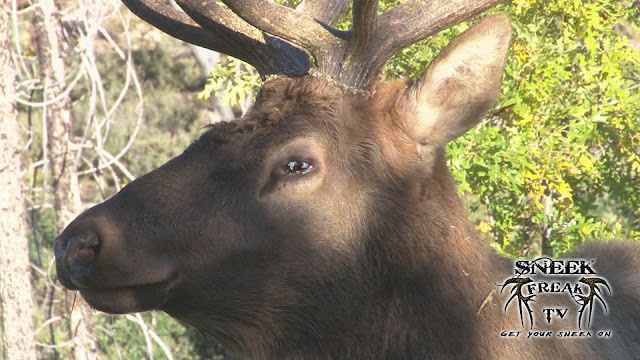 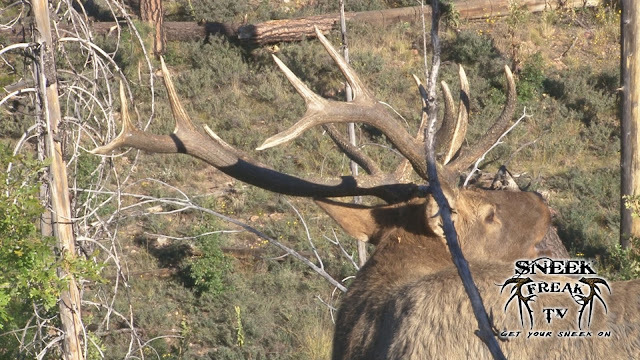 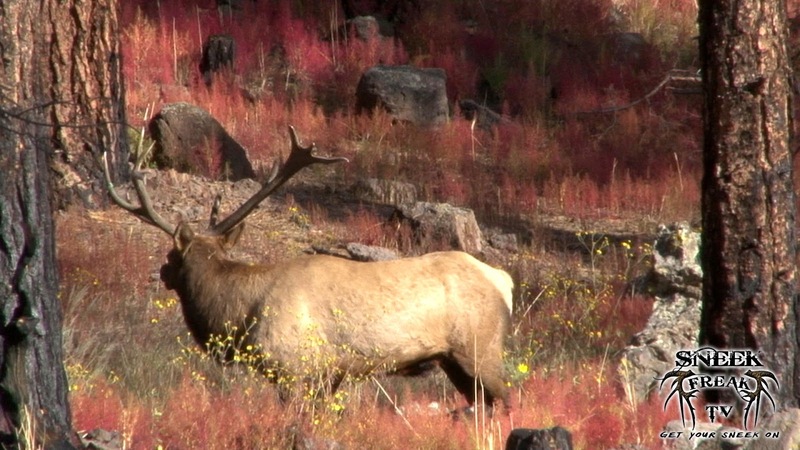 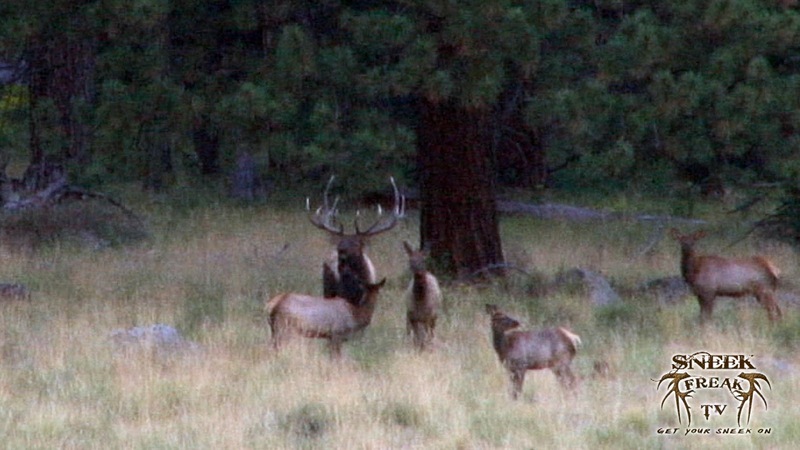 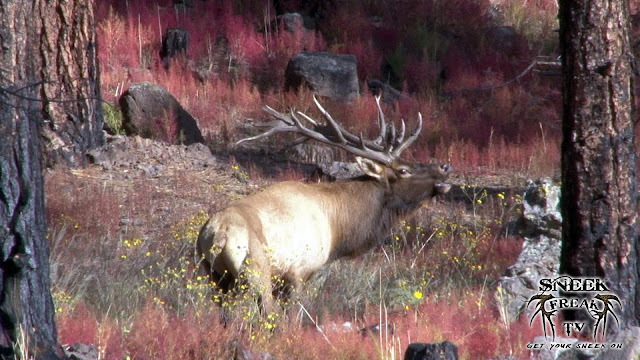 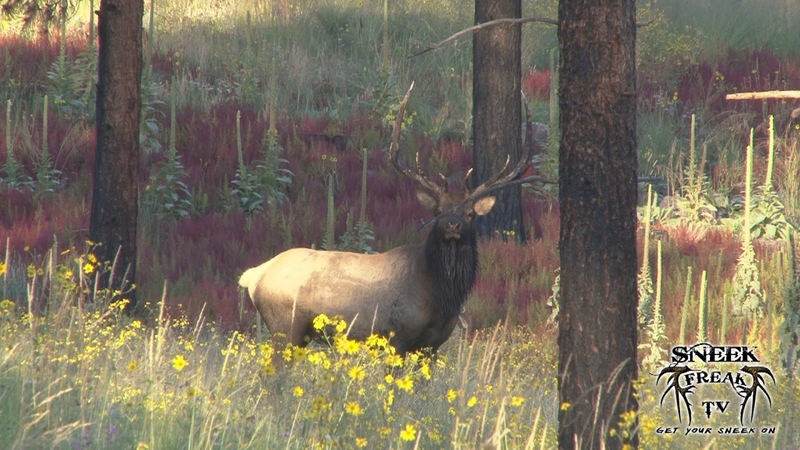 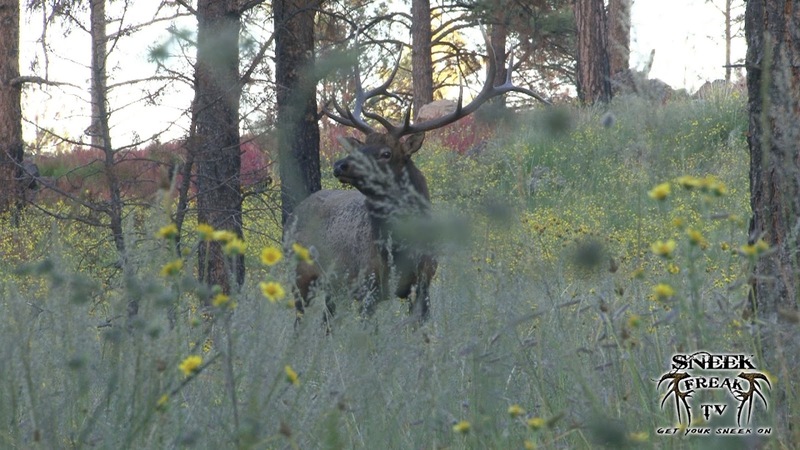 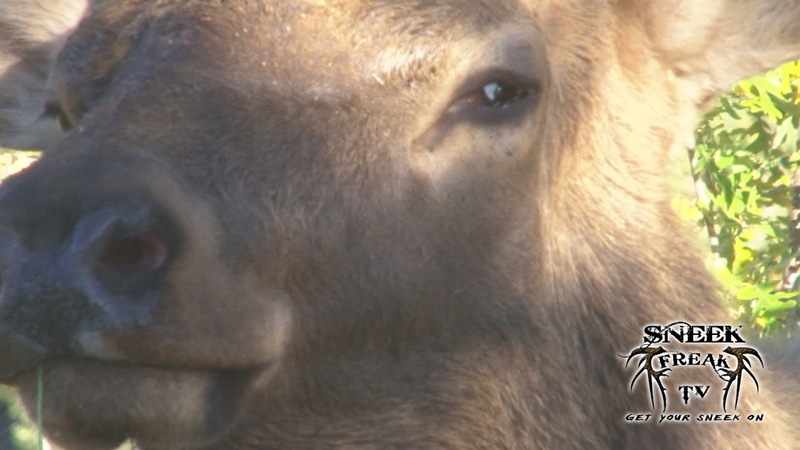 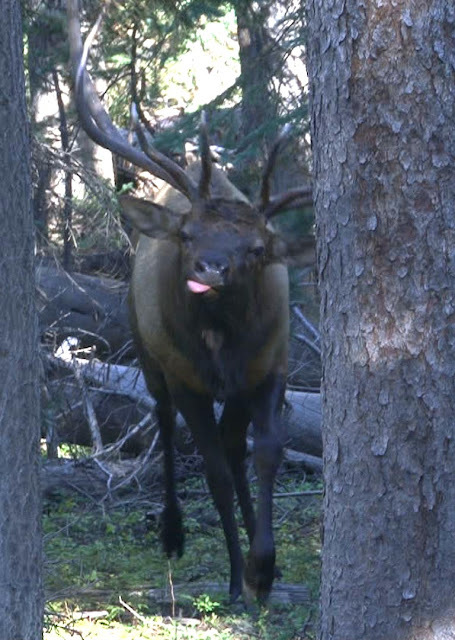 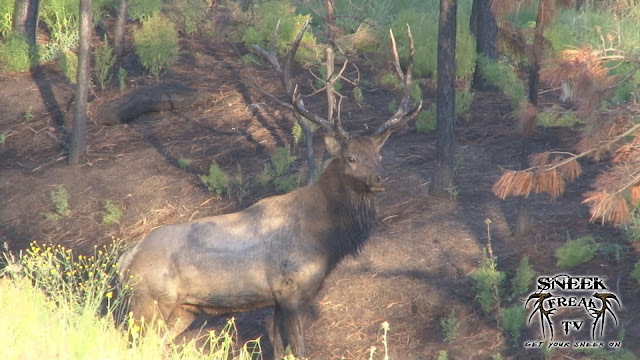 We ran into Capt Hook the first week of the archery elk season while hunting with Tom. 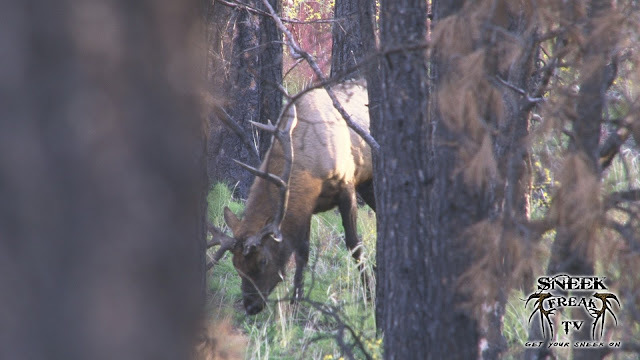 He is a cool looking bull with beams that curl down hard after the fifth point. 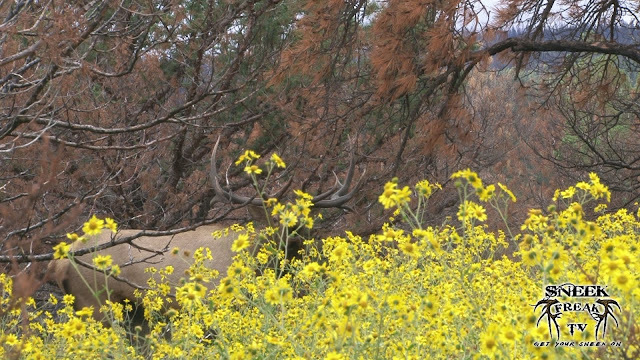 Fortunately for him, a tree occupied his attention just long enough for our wind to shift in his direction. 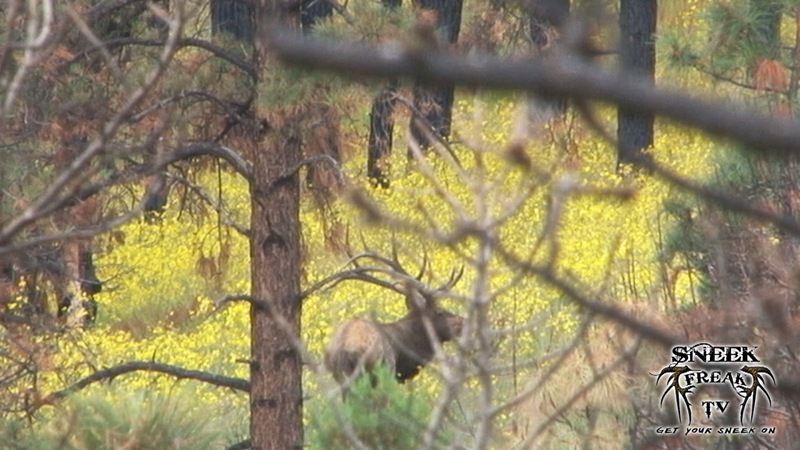 Ten more yards and he would have caught an arrow! 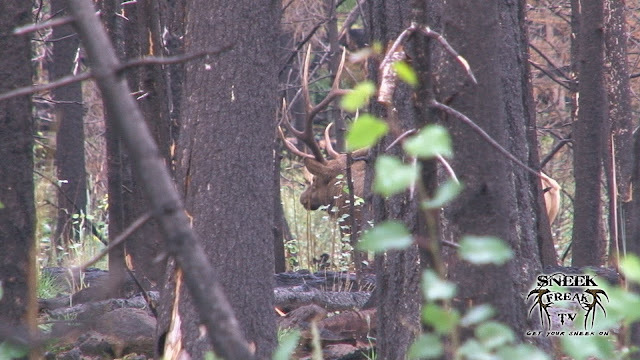 After chasing bugles deep into the timber, we finally got within striking distance. Finally getting situated in the only semi-open spot we could find, I let out a couple soft mews. The forest erupted with bugles from the three bulls we had been following. 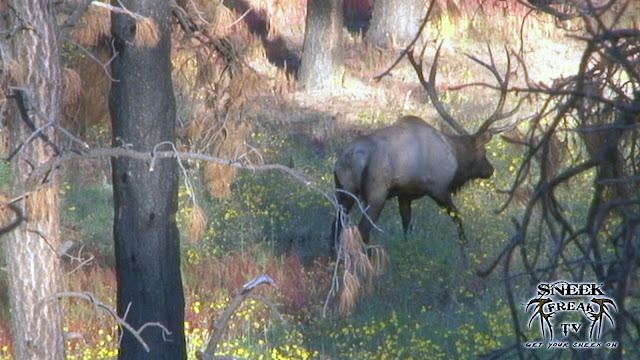 Two of the bulls split as the most aggressive bull turned and came charging in! 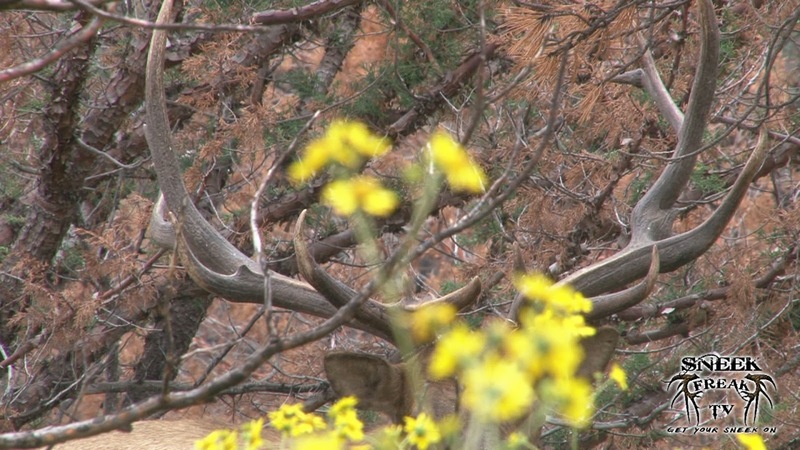 We found these two bulls feelin' out the competition early in the hunt during archery season.